Every year, people across New Jersey experience the frustration of an auto accident. From being rear-ended or side swiped, to accidentally hitting a parked car, or even a running deer, these accidents leave cars damaged and potentially unusable. When another driver damages your car in a collision, it’s important to find quality auto repair. 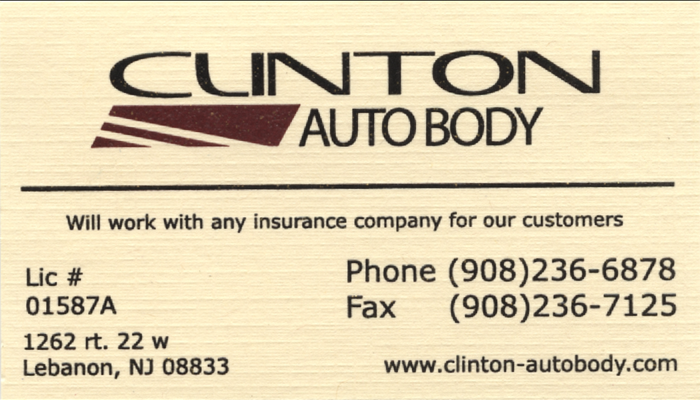 The professional technicians at Clinton Auto Body can fix your car and get it back on the road with peace of mind. At Clinton Auto Body, all work is guaranteed. Our highly-trained staff is always available to assist customers with any questions. We work hand-in-hand with every insurance company. You are responsible only for your deductible. Our goal is to expedite the repair process and restore customer confidence. 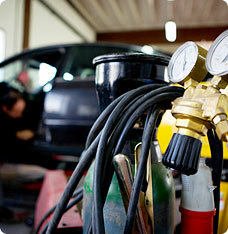 Our staff consists of technicians trained and certified in all the latest auto body technology. Up-to-date training and over 30 yrs. experience is our equation for consistent quality repairs. Located right on Route 22 West, across from the Lebanon Plaza, in LebanonNJ. Contact Clinton Auto Body to schedule an inspection.